Downsizing (film, 2017). A 2017 American science fiction comedy-drama film with "R" rating by Paramount Pictures. Directed by Alexander Payne. Official Trailer. 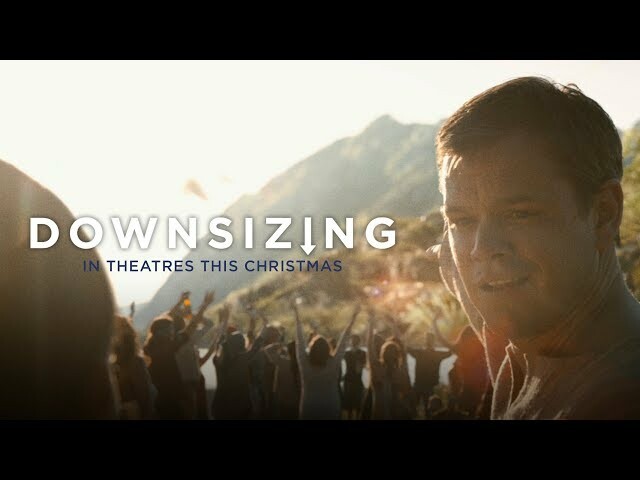 Downsizing is a 2017 American science fiction comedy-drama film directed by Alexander Payne. 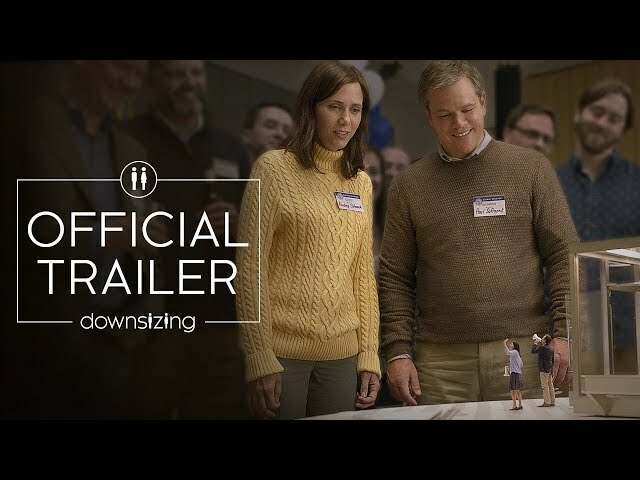 Downsizing (2017) - Official Trailer #2 - Paramount Pictures. In the future, searching for a way to solve overpopulation and global warming, Dr. Jørgen Asbjørnsen invents "downsizing", a process to shrink people to a height of five inches; he and his wife Anne-Helene become part of the first human test subjects once the process is proven safe and demonstrate it to the world. Paul and Audrey Safranek, a married couple in Omaha with financial problems, meet Dave and Carol Johnson, who have downsized. While the inventors advocate that downsizing is environmentally friendly through the reduction of waste, Dave argues that its benefits extend far beyond that and improve one's life through the increase in value of their money. Exploring the possibilities of downsizing, Paul and Audrey agree to undergo the process and move to Leisureland, New Mexico, one of the most popular communities for small individuals. After undergoing downsizing, Paul receives a call from Audrey, saying that she was unable to go through with the procedure and, by opting out at the last minute, will be leaving him. One year later, Paul finalizes the divorce with Audrey, and settles in to his new apartment (a downsizing of its own from the mansion he was to originally share with Audrey). Although Paul had anticipated a life of relative ease, the divorce left him without Audrey's share of their assets. In addition, Paul's share of the asset shrank further still due to divorce settlement negotiations. Paul, whose occupational therapist license had lapsed and faced a re-certification process due to Leisureland being in another state, now works as a customer service representative for Lands' End. While attending a birthday party, Paul has a discussion with Dave and says that he regrets his decision to downsize. Soon after, Paul breaks up with his girlfriend and attends a party hosted by his neighbor Dušan. Principal photography began on April 1, 2016, in Mississauga, Ontario, Canada, at University of Toronto Mississauga, while also featuring the Aga Khan Museum. The film Downsizing was scheduled to be released by Paramount Pictures on August 30, 2017 (Venice), on December 22, 2017 (United States) and on January 18, 2018 (Germany). The duration of the film is 135 minutes. With a budget of $68 - 76 million, the film grossed over $55 million. 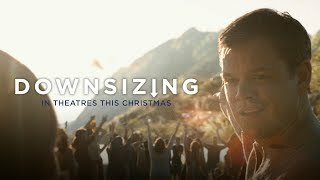 Downsizing got average rating from critics. The audience dislikes the film either. Audiences polled by CinemaScore gave the film an average grade of "C" on a scale ranging from A+ to F.